She hunts chiropterans using a katana. It is implied that she is the last remaining vampire and is called "the only remaining original." Saya has no weakness to sunlight but it is unknown if she has any of the other vulnerabilities of normal vampires. However, she becomes distressed when she encounters religious people and angry when people mention God in her presence. 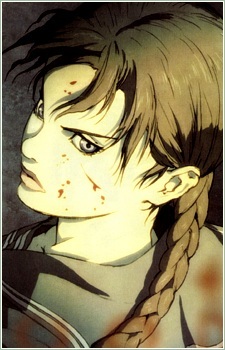 Saya displays superhuman senses and strength, as well as cunning, resourcefulness, and skill. The manga series suggests she was a human-vampire hybrid. Her age is unknown, but a picture of her with nine other people is shown in the film with the date 1892 and the word "vampire" attached to it. Though she holds most humans in contempt, she seems to have some sort of respect for David.